The Mt. Olive Food Pantry is run by the Mt. 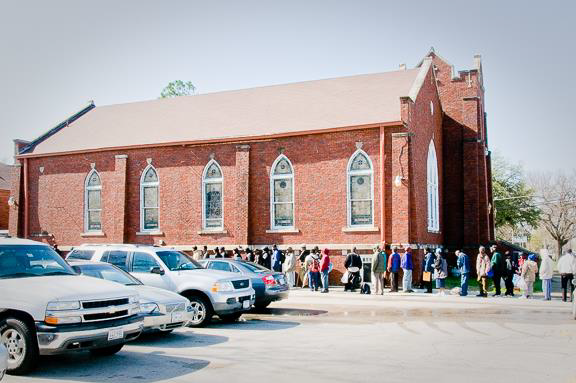 Olive Lutheran Church and three additional Lutheran churches from North Dallas. Together, they provide meals for the homeless and food for the needy families in the community. Many who receive these services are children. In the City For Good and King of Glory Lutheran Church provide funding for food donation and volunteers to this important charity. The two partnered with Trammell Crow Company to remodel the church basement into a bright, updated environment for both clients and volunteers. For more information, visit the Mt. Olive Lutheran Church here.